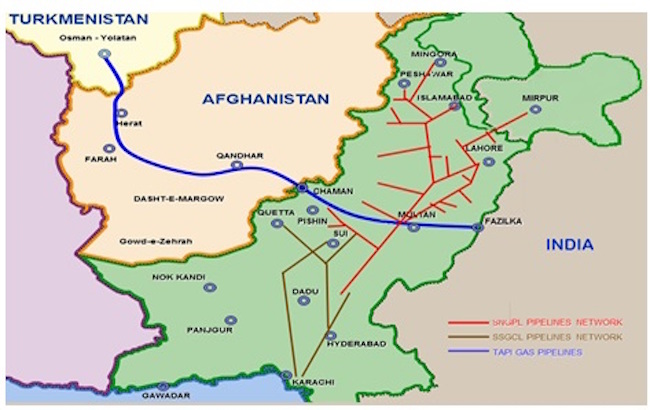 TAPI is a regional energy infrastructure project and will help loosen tensions between the neighboring countries involved due to interdependence. This attribute assures the fact that this investment is to bear fruit for all the nations involved in the project. TAPI is a very reliable dimension towards bettering Pakistan-Afghanistan relations.The project can be a way to rebuild Afghanistan into a cohesive nation state- a dimension through which Pakistan too will benefit (keeping in mind the implications an instable Afghanistan has over Pakistan). It will also build a sense of trustworthiness among the two countries and will be a factor of interdependence among the nations. The new forming government should take into account the significance and the benefits this project has. It shall be a priority for the new government since it not only ensures the bettering of multi lateral relations amongst the countries involved, particularly Afghanistan, but also will meet the needs of power shortages in Pakistan. Hareem Aqdas is a Researcher with Strategic Vision Institute, Islamabad, a student of International Relations at Quaid-I-Azam University, Islamabad and a former exchange student to the U.S. for the course of Leadership and Social Justice.